“The American Forces Radio and Television Service (AFRTS) provides Stateside radio and television programming, ‘a touch of home,’ to U.S. service men and women, DoD civilians, and their families serving outside the continental United States.” (*AFRTS, 2004). Bagram, Baghdad, Kabul, and Kandahar are the familiar names of conflict zones in 2004. In these faraway operational theaters, the AFRTS provides a homey electronic media touch to the lives of US troops. Guadalcanal, New Georgia, Noumea, and Bougainville—these were the familiar names from another conflict, the Second World War. Exactly 60 years ago, the precursor of the modern-day AFRTS was also providing comfort for troops far from home in these remote Pacific Islands. The year is 1944 and the world is at war. In the Southwest Pacific, US soldier and broadcaster, T/5 Hy Averback, presents the Atabrine Cocktail Hour on the airwaves of the American Expeditionary Station (AES) on Guadalcanal in the British Solomon Islands Protectorate. To keep his audience of service personnel amused and interested, Averback invents make-believe locations and situations for his show. “From the fungus-festooned Fern Room, high atop the elegant Hotel DeGink in downtown Guadalcanal, we bring you the dance music of the Quinine Quartet”. (*Personal communications, S. Allen, 1983–1989). With Harry James’ version of “The Flight of the Bumble Bee” (*Kirby & Harris, 1948) as its musical theme and accompanied by background sound effects of a murmuring crowd, women’s laughter, and ice tumbling into cocktail glasses, Averback’s radio program is a daily reminder to troops to take their antimalarial Atabrine tablets. The American Expeditionary Station on Guadalcanal was just one of a grouping of United States military radio stations providing entertainment programs and news from home for American service personnel posted to the Southwest Pacific. The AES outlets in this operational theater were known, collectively, as The Mosquito Network. Other stations in the chain were located at Munda, New Georgia (British Solomon Islands Protectorate), Empress Augusta Bay, Bougainville (New Guinea), Espiritu Santo (Anglo- French Condominium of New Hebrides), Noumea (New Caledonia), and Auckland (New Zealand). The radio stations were not a network in the sense that they shared programs and news simultaneously. Rather, they were individual medium-wave stations of common parentage. In mid-1941, several months before the December 7th attack on Pearl Harbor, Colonel Jack Harris, Deputy Director of the Radio Branch of the Bureau of Public Relations in the United States Army, recalled his commanding officers’ instructions that entertainment programs be produced for the ground forces manning the military outpost in Iceland. In response, the Radio Branch instituted a short-wave program, Your Grandstand Seat. “It was the first overseas broadcast to troops,” said Jack Harris (*Harris, personal communication, 1983). However, unknown to Washington, DC, some enterprising soldiers in Alaska took it on themselves to develop their own broadcasting infrastructure. Immediately following the Pearl Harbor attack, service personnel in the lonely military base at Kodiak in the Aleutian Islands started building a small radio station. 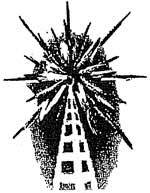 The transmitter was constructed in 17 days and began broadcasting on December 24, 1941 (*Kirby & Harris, 1948). Although the Armed Forces Radio Service had yet to be officially established, the Kodiak station became, in effect, the first (albeit unauthorized) AFRS outlet. In early 1942, the US Army, realizing the importance of the psychological welfare of its troops, established the Morale Division of the Army Service Command. The Division’s role was to provide broadcasts and entertainment from home to the troops. According to Jack Harris, “Thomas H.A. Lewis, then husband of Loretta Young, was brought in from Hollywood, commissioned a Major and headed the Armed Forces Radio Service” (*J. Harris, personal communication, 1983). With Major (later Colonel) Lewis in charge and with one other officer and three civilians administering a newly established office in Los Angeles, the Armed Forces Radio Service began its work. Initially, its key task was to purchase commercial radio programs for eventual rebroadcast to the troops serving outside mainland USA. At the time, the most popular shows could cost any amount up to $50,000 per program. However, the AFRS was able to get them for $65.58 each (*American Legion Magazine, 1945). Within months of the Pearl Harbor attack, American forces were being deployed to the South Pacific to stem the Japanese military tide. Almost all of South-East Asia had quickly been occupied by Japan, and its soldiers were also now based in strength in Rabaul and elsewhere in New Guinea. General Douglas MacArthur, Allied Supreme Commander in the Southwest Pacific, soon established his Headquarters in Brisbane, Australia. Initial assignments of the US forces under his command began to be deployed to staging areas, bases, and training camps in Australia and New Zealand. With them went their home-style radio entertainment. As early as July, 1942, it was reported that four of the ZB radio network stations in New Zealand were broadcasting transcriptions of popular US commercial radio shows (*DeLay, 1951). By mid-1942, Japanese troops had ventured far down the chain of islands constituting the British Solomon Islands Protectorate (BSIP) and had identified a potential airfield site on the Lunga plains of Guadalcanal. On August 7, 1942, US Marines landed on Guadalcanal from the sea. Their objective was to capture the airfield, then under construction, and hold it against all odds. A series of fierce battles soon developed as the Japanese military regrouped and attacked in force. Fighting on land continued along ridge lines, in jungles, and on beaches. At sea, huge naval actions saw many capital ships sunk or damaged. Within a few months, the Allied forces began to prevail. As the Allies took the offensive and moved northward through the chain of islands in the BSIP, their military radio equipment, usually operated by the US Signal Corps or specialist Marine or Army units, gave them access to operational information as well as entertainment. To further bolster morale, Presto Y-model recorders (comprising an amplifier and turntable and capable of both playing gramophone recordings and cutting new discs), were sent to Guadalcanal and other operational theaters. By early 1943, portable, low-powered radio transmitters (stored in five suitcases) were also made available. These fully mobile radio broadcast stations moved with the troops and were usually operated by either US Signal Corps personnel or Marine Corps engineers (*Kirby & Harris, 1948). Some of the small stations were reported to be in use on New Georgia and Vella Lavella in Solomon Islands during the latter part of 1943 (*Tompkins, n.d.). Meanwhile, back in Los Angeles and Washington, DC, the whole concept of developing American Expeditionary Stations (AES) was taking shape. The first AES station went to air in Casablanca in Morocco in March 1943. (*Broadcasting magazine, 1943). Just more than a year later, more than 100 such stations and 200 public address systems were in operation. The network eventually covered US military bases in the United Kingdom and, after hostilities had concluded, in Germany, Italy, Japan, and other former operational areas. By late 1943, Guadalcanal was becoming a major US military staging area and rear base in the Southwest Pacific. Clearly, such a location would be a prime candidate for an AES station. However, it was not the first of The Mosquito Network outlets to be developed; that honor went to New Caledonia. Tontouta, north of New Caledonia’s capital, Noumea, was an important airfield for Allied forces in the Pacific. Noumea also housed extensive hospital facilities and was used by the US military for wounded personnel evacuated from forward operational areas, such as Guadalcanal and New Georgia. Already, a radio transmitter, operated by the Red Cross and said to have been purchased in Australia, was broadcasting news and entertainment to the troops (*DeLay, 1951). It was based in the Red Cross building in Noumea, although American service personnel were already involved in managing the station and broadcasting programs. On September 5, 1943, the Noumea station was formalized as a military entity when it came under the control of the US Army’s Information and Education (I&E) unit. It operated with one kilowatt of power on 975 kilocycles and later took the call-sign WVUS (*DeLay, 1951). By December, 1943, the Marines had established their own medium-wave radio station at Munda on New Georgia in Solomon Islands. Coast watcher Martin Clemens recalls visiting the island at Christmas and hearing the station on the air. A Solomon Islander “thumping bamboo band” played for Clemens and his US military guests during lunch. “Their signature tune was You Are My Sunshine and this, in fact, their recording, became the opening for the broadcast” (*M. Clemens, personal communication, n.d.). In January 1944, Major Purnell (“Mike”) H. Gould (formerly commercial manager of WFBR, Baltimore) became South Pacific Radio Officer of the AFRS with Lieutenant Bob LeMond as one of his assistants and Major Clifford A. Frink as Chief Radio Engineer (*Broadcasting magazine, 1944). Based in Noumea, these officers brought together the core staff for the future Mosquito Network stations. While the Noumea team moved forward with its planning, personnel with backgrounds in the radio industry were being drafted for military service back in the USA. Rudolph Luukinen (formerly with WSDM, Superior, Wisconsin) and destined to be one of AES-Guadalcanal’s engineers recalls that, on induction to the armed services, he asked to be assigned to the Signal Corps. Another eventual AES-Guadalcanal staff member, George Dvorak, who had worked with radio KFI in Los Angeles before the war, enlisted as a Radio Control Tower Operator in Colorado. He was later called back to Los Angeles to join the team heading for Guadalcanal. Allen Botzer, another Guadalcanal hand, started in radio with KOL and KIRO in Seattle. He went on to KMTR and KHJ in Los Angeles, eventually joining KNX, the CBS outlet in that city. He also enlisted as a Control Tower Operator and was sent to Roswell, New Mexico, later returning to Los Angeles and joining the AFRS crew bound for Guadalcanal (*A. Botzer, personal communication, 1990). Two Texans, radio engineers Rudolph Rubin and Ivan Saddler, also became part of the team (*S. Allen, personal communications, 1983–1989). Captain Spencer Allen, previously with WGN, Chicago, headed the Guadalcanal group. He recalls that four broadcasting teams (for stations on Bougainville, Guadalcanal, Espiritu Santo, and New Caledonia) were given training at AFRS headquarters in Los Angeles (*S. Allen, personal interview, 1990). Rudy Luukinen remembers that, for the engineers, “our orientation was at the American Television Laboratory on Sunset near Western Avenue” (*R. Luukinen, personal communication, 1988). Under AFRS Special Order Number 10, teams of AFRS graduates were dispersed to the South and Southwest Pacific (*F.K. Tourtellotte, personal communication, n.d.). The Guadalcanal radio team comprised Captain Spencer Allen, Station Manager, Captain Wilford Kennedy, Chief Engineer, and Staff Sergeant George Dvorak, Program Director. Program staff were Corporal Allen Botzer, T/5 Hymen Averback, and PFC Richard Sinclair. The technical team was T/5 Rudolph Rubin, PFC Ivan Saddler, PFC Rudolph Luukinen, and PFC Steve Johnson (*S. Allen, personal communications, 1983–1989). On January 23, 1944, the Guadalcanal group boarded the U.S.A.T. CapeMears in San Francisco (*S. Allen, personal communications, 1983–1989). The ship made landfall at Espiritu Santo in the Anglo-French Condominium of New Hebrides on February 11, 1944, and the various AFRS teams disembarked to go their separate ways. Two days later, Captain Spencer Allen’s group again boarded a ship, this time for Guadalcanal, finally reaching their destination on February 16. The American trade magazine, Broadcasting, patriotically heralded their arrival. “The Guadalcanal station had its beginning when a crew, complete with equipment, was put ashore on a lonely stretch of South Pacific beach. Cpl. Allen Botzer had a .45 thrust into his hand and was told to guard the equipment. The rest of the men were dispatched on a scouting tour to determine what the next move would be” (*Broadcasting Magazine, 1944). Botzer didn’t quite see things in the same way. In a letter home, he wrote: “Of course that business about the .45 isn’t true. The rest of the stuff vaguely corresponds to the truth. What really happened is that we sat around on our duffle bags waiting for transportation, very hot, very wondering what happens next. A dull procedure, to say the least. 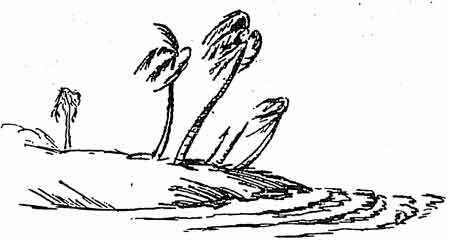 The only thing we had to avoid was having a coconut fall on our noggins” (*A. Botzer, personal correspondence, 1944). About the author: Martin Hadlow (M.A., Leicester University, U.K.) lived 4 years in Honaira on Guadalcanal while employed on an Australian aid-funded project to establish the Solomon Islands Broadcasting Corporation. Previously he spent 2 years in Papua, New Guinea, as Station Manager of District radio stations in Kerema (Gulf), Lae (Morobe), and Keita (Bougainville), and has undertaken consultancy and training assignments throughout the South Pacific region. His research interests include writing a general history of broadcasting in Solomon Islands.